Legal writing is full of symbols. Inserting symbols using the Ribbon can take several mouse clicks. There is a faster way, but it requires a little prep work. On the Ribbon's Insert tab, in the Symbols group, click Symbol. Locate and click the Section Symbol. 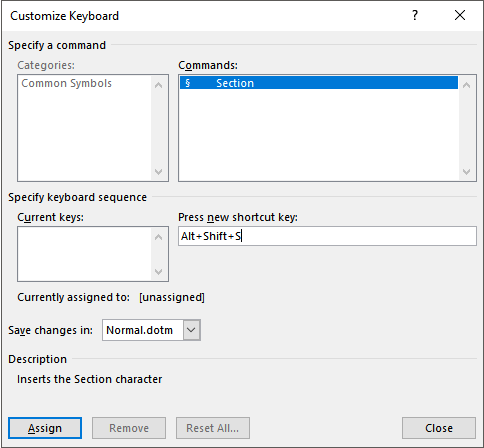 In the Press new shortcut key assign your preference, such as Alt+Shift+S. 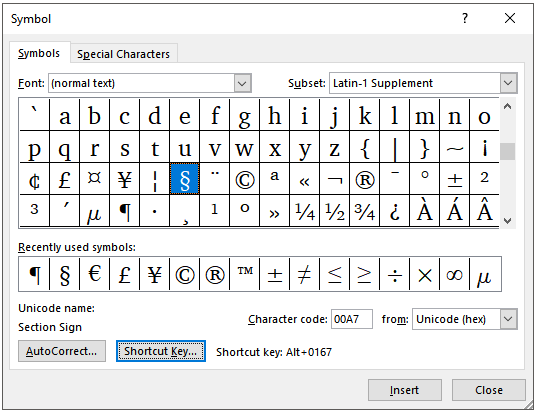 Repeat the same steps (but pick a different shortcut key combination, of course) for the Paragraph Symbol or any other symbol you use frequently in your Word documents.